Offering you a complete choice of products which include bosch ccs-1000d digital discussion system, bosch ccs 900 series analog audio ultro discussion system, bosch ccs 700 series analog audio conference system, bosch dcn digital conference system, bosch dicentis wireless conference system and bosch dicentis wired conference system. 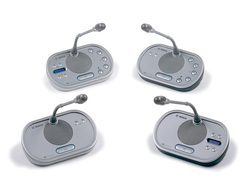 The CCS700 Ultro discussion system is suitable for use in meetings and conference venues with a limited number of participants.The CCSE-DL delegate units enable participants to actively take part in the meeting proceedings. 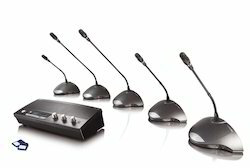 A builtin-microphone allows them to speak to the other delegates, and they can listen to the discussion using the built-in loudspeaker or (optional) personal headphones. 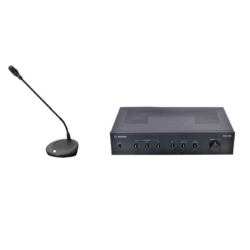 DCN Multimedia Conference System offers versatility, high audio quality and data transmission while providing complete control over your conference proceedings. The elegantly designed DICENTIS Discussion devices enable participants to speak, register a request to speak, and listen to discussion. can be activated to enable dual‑use. 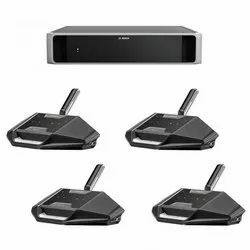 Looking for BOSCH Conference System ?